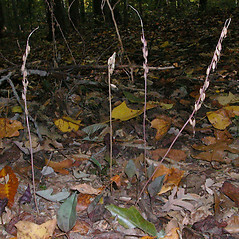 Cranefly orchid is a rare orchid found in Cape Cod, Massachusetts, and in the southeastern states. 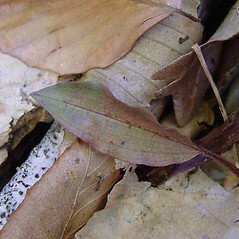 The underside of the single leaf is purple, and it does not persist until flowering. 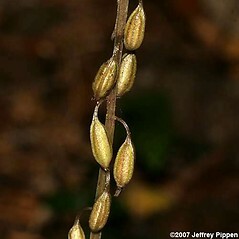 The somewhat asymmetrical flowers of this species are pollinated by noctuid moths, the flower depositing a pollinarium (pollen mass) on either the left or right compound eye of the moth, depending on which way the column is twisted. 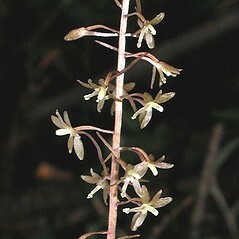 labellum without a spur, usually provided with magenta spots, and capsules 15-30 mm long (vs. T. discolor, with the labellum with a spur, lacking magenta spots, and capsules 9-12 mm long). 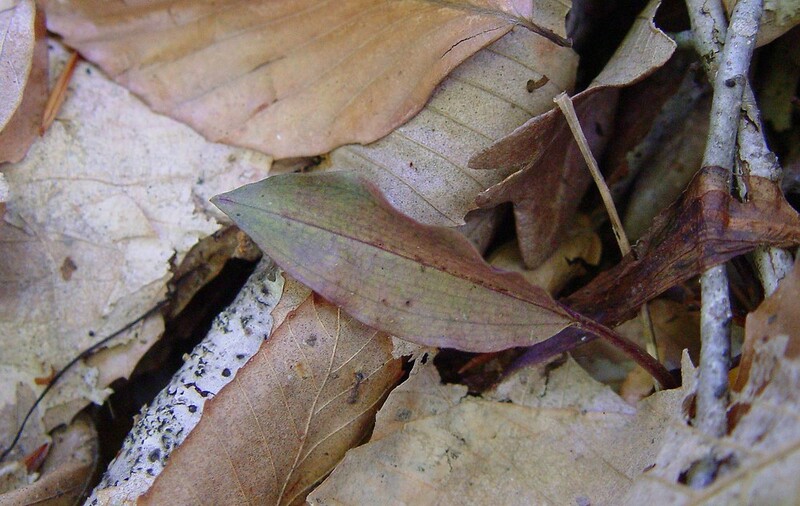 cranefly orchid. 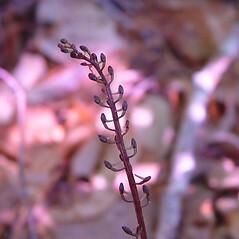 Tipularia unifolia B.S.P. • MA; Cape Cod region. 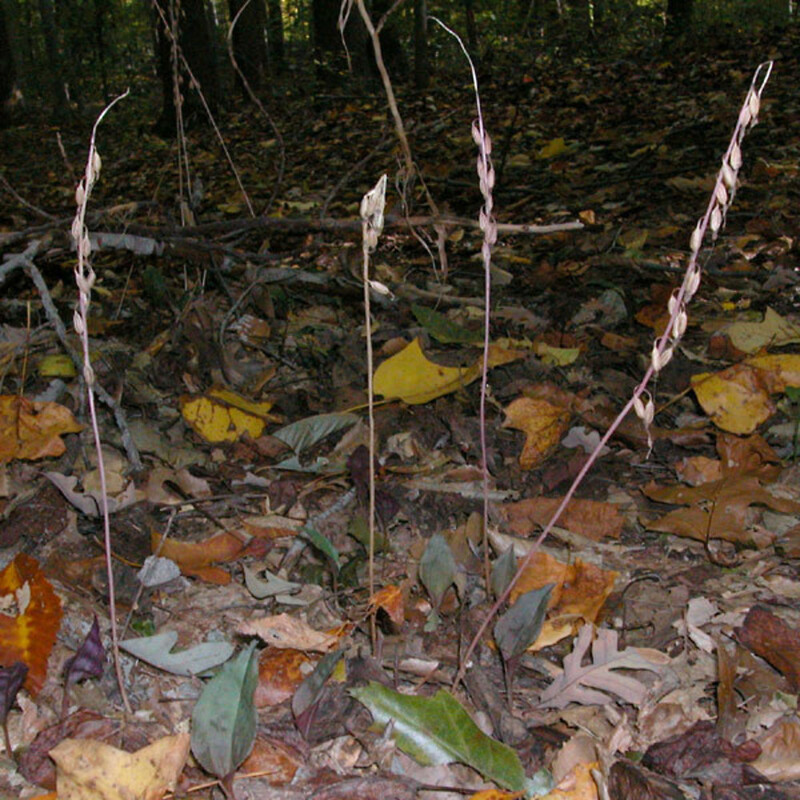 Deciduous forests and woodlands on sandy soils, often near upland edge of swamps and ponds.